Nineteenth-century Victorian scientific naturalists had a particular conception of scientific and social progress. In his “The Progress of Science 1837-1887” (1887), Thomas Henry Huxley argued that a “revolution” had taken place, both politically and socially, in the modern world. In brief, scientific progress came with the adoption of a naturalistic approach to studying nature. Any other approach would count as an obstacle both to scientific and social progress. Similar sentiments were shared by John Tyndall, Herbert Spencer, and other scientific naturalists. Of course the idea of progress was held by other Victorians as well. “We are on the side of progress,” wrote British historian Thomas Babington Macaulay in 1835. “From the great advances which European society has made, during the last four centuries, in every species of knowledge, we infer, not that there is no room for improvement, but that, in every science which deserves the name, immense improvements may be confidently expected.” “History,” he continued, “is full of the signs of this natural progress of society.” From Macaulay, Arnold, Mill, Morley, and Kingsley, to Huxley and Co., the idea of progress became dogma for Victorian intellectuals. But where did this idea of progress come from, and why was it so pervasive? From the 1920s onward, several historians have offered strikingly different (and sometimes opposing) answers. J.B. Bury, for example, explained in his The Idea of Progress (1920) that progress was the “animating and controlling idea of western civilization.” But in saying this, Bury also disputed, and dismissed, the connection between the idea of progress and the Christian doctrine of providence. Indeed, the idea of progress presupposed its rejection: “it was not till men felt independence of Providence,” he writes, “that they could organize a theory of Progress…So long as the doctrine of Progress was…in the ascendent, a doctrine of Progress could not arise.” According to Bury, the origin of the idea of progress is found among eighteenth-century philosophes. To make his point, Bury also portrayed the philosophes as characteristically anti-Christian or anti-religious. However, other historians saw the idea of progress in terms of the secularization of biblical eschatology. 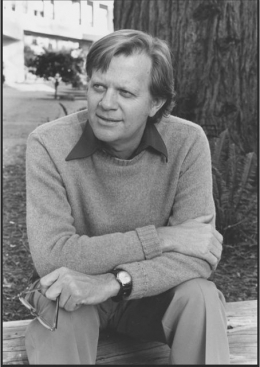 Ernest Lee Tuveson, for instance, argued in his Millennium and Utopia (1949) that “gradually the role of Providence was transferred to ‘natural laws’…Providence was disguised rather than eliminated.” A new kind of Providence emerged, one based on the confidence of the historical process: “This confidence…resulted in part from the transformation of a religious idea—the great millennial expectation…The New Jerusalem in a utopia of mechanistic philosophers; the heavenly city of the eighteenth-century philosophers and of the nineteenth-century optimists retained many features of the New Jerusalem.” Others would follow and expand Tuveson’s analysis, including Carl L. Becker, Nicolas Berdyaev, Carl Schmitt, Jacob Taubes, Karl Löwith, Reinhold Niebuhr, and Eric Voegelin, among others. It was becoming increasingly clear that the modern idea of progress rested on biblical presuppositions, particularly a secularized eschatological myth of salvation. deprived by God’s hiddenness of metaphysical guarantees for the world, man constructs for himself a counterworld of elementary rationality and manipulability…Because theology meant to defend God’s absolute interest, it allowed and caused man’s interest in himself and his concern for himself to become absolute. Representative of this new position, says Blumenberg, is the work of Francis Bacon (1561-1626). From Blumenberg’s view, Bacon turned away from understanding God to understanding man and nature. With Copernicus, Kepler, and Galileo, we reach man’s full self-assertion. And herein lies Blumenberg’s central argument: this modern self-assertion of reason provided the means for “possible progress” rather than the “necessary progress” of the eschatological view. Many historians of science in recent years have argued that early modern science was a religious activity. 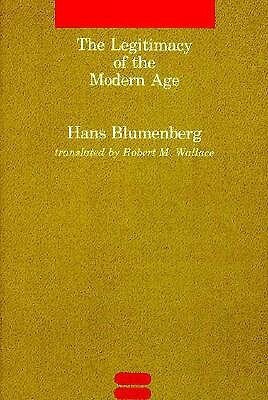 With some minor modification, Blumenberg’s thesis of modern man’s self-assertion of reason was not a revolutionary turn away from God, but rather the attempt to find better proofs of God’s existence, in the natural world. Self-assertion, in other words, was a religious conception as well. It was a dialogue with God within a new medium, that of science. Historians of the late nineteenth century were quick to disassociate their discipline from literature, arguing that historical writing was like scientific analysis. History does not have “aesthetic forms”—it was not a “narrative.” History was a science. 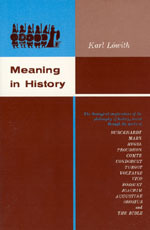 Hayden White’s Metahistory (1973) continued to challenge the “view that history operates in a manifestly different mode from literature.” Focusing on the historical work of Michelet, Ranke, Tocqueville, and Burckhardt, and in relation to Hegel, Marx, Nietzsche, and Croce, White “posited that their work culminated in an “Ironic’ historiography, characterized by ‘skepticism in thought and relativism in ethics. '” The histories of these men, says White, are characterized by four modes of linguistic prefiguration (Metaphor, Metonymy, Synecdoche, and Irony), four theories of truth (Formism, Mechanism, Organicism, Contextualism), four archetypal plot structures (Romance, Tragedy, Comedy, Satire), and finally four ideologies (Anarchism, Radicalism, Conservatism, and Liberalism). The theory of tropes [writes White] provides a way of characterizing the dominant modes of historical thinking which took shape in Europe in the nineteenth century…For each of the modes can be regarded as a phase, or moment, within a tradition of discourse which evolves from Metaphorical, through Metonymical and Synecdochic comprehension of the historical world, into an Ironic apprehension of the irreducible relativism of all knowledge. Yes, that is right, exactly, it is against positivism, against a positivistic notion of history. The discipline of history is systematically antitheoretical. Historians think of themselves as being empirical, and they are, but they are not philosophically empirical. They are empirical in a commonsense way—in an ordinary, everyday why.